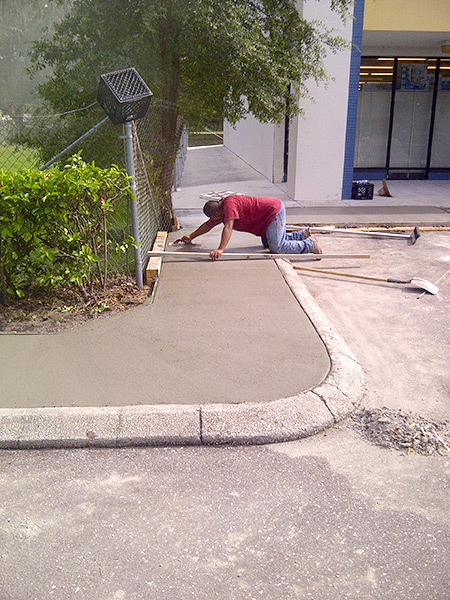 Pasco business owners and managers spend a considerable amount of time keeping their parking lots in optimal condition. 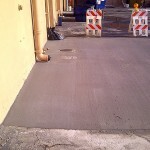 ACPLM is here to provide sealcoating in Pasco as well as numerous other pavement services. 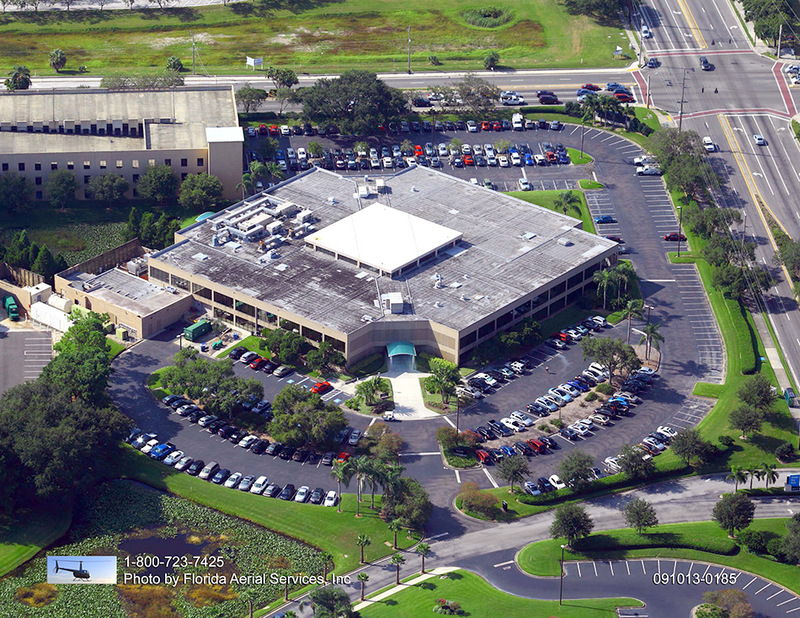 Local business owners and managers in Tampa are especially appreciative of our sealcoating services. Here’s a quick look at the many reasons to invest in sealcoating in Pasco. 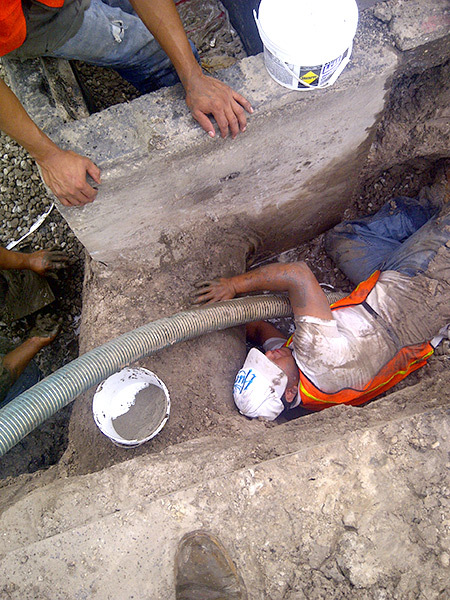 We go to great lengths to ensure each of our sealcoating projects is performed with the utmost precision. 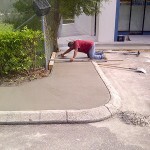 Our mission is not only to beautify your property but also preserve it for future use. 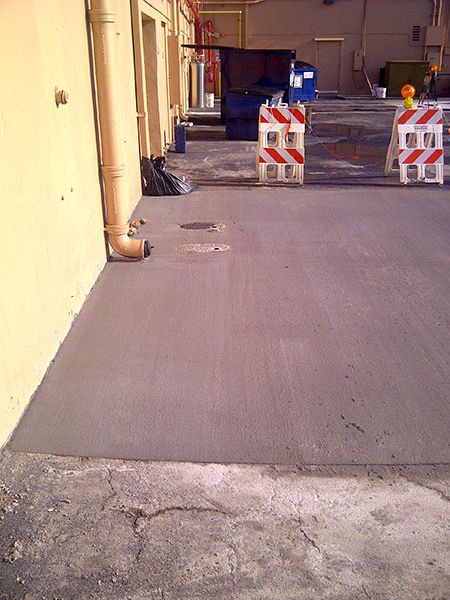 A sealcoating in Pasco will reinforce your parking lot’s integrity and improve visual and curb appeal. 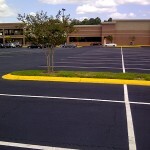 Your parking lot will look fantastic after a sealcoating. 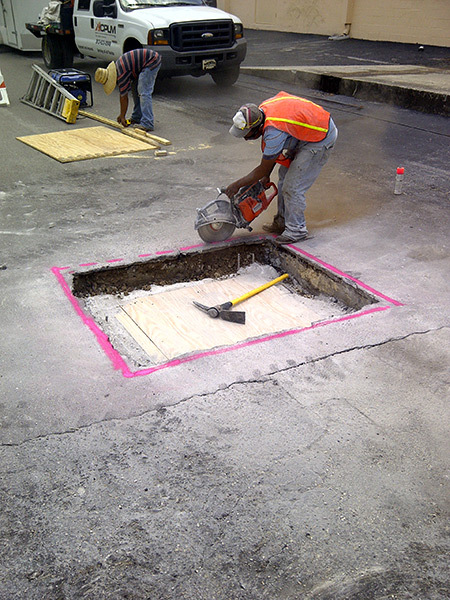 Perhaps more importantly, this protective barrier will help your parking lot prove useful for years to come. Give ACPLM the opportunity to improve your lot and you will be more than satisfied with the results. How Frequently Should Sealcoating in Pasco be Performed? 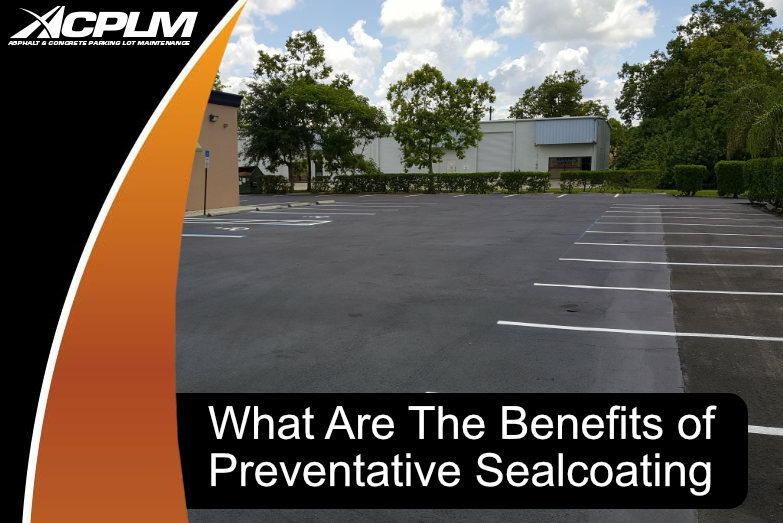 Numerous studies show sealcoating is by far the most important way to preserve parking lot pavement. Parking lots should be sealcoated at least once every two years. 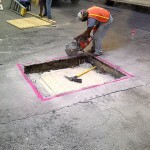 Furthermore, sealcoating services applied at the proper frequency will ward off additional parking lot projects that chew up time and money. Consider the number of vehicles that drive over your parking lot every single day. It is not only the weight of especially heavy vehicles that can compromise your lot. These vehicles leak liquids ranging from gas to coolant, oil, and beyond. These liquids are a major problem as they speed up parking lot deterioration. 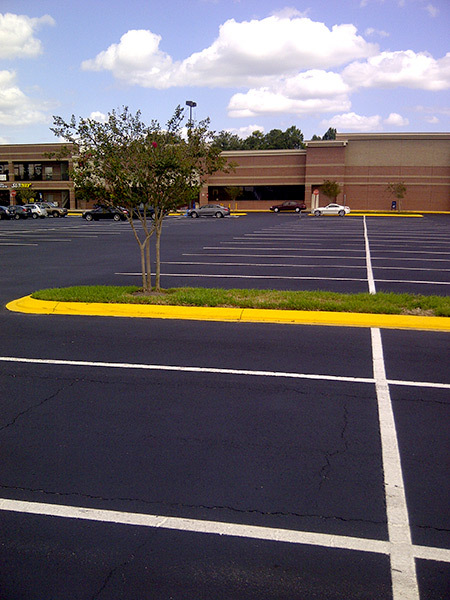 Let ACPLM sealcoat your Pasco parking lot and you won’t have to worry about liquids moving down into the asphalt. Sealcoating also facilitates the cleaning of stains so the look of the property remains consistent across posterity. Sealcoating in Pasco also provides protection against the sun’s harmful rays. This protection really does enhance the look and lifespan of your parking lot. 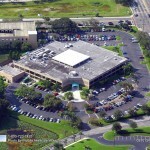 A lovely-looking lot will attract that many more customers, prized employees, and others. In fact, sealcoating even guards your asphalt against damage from rain and moisture to boot. Though the Pasco region doesn’t get sleet, hail, or snow temperatures dip down low now and then. Have ACPLM sealcoat your parking lot and you won’t have to worry about possible damage from these temperature shifts. Contact us today at 888-959-9637 to schedule a free consultation.